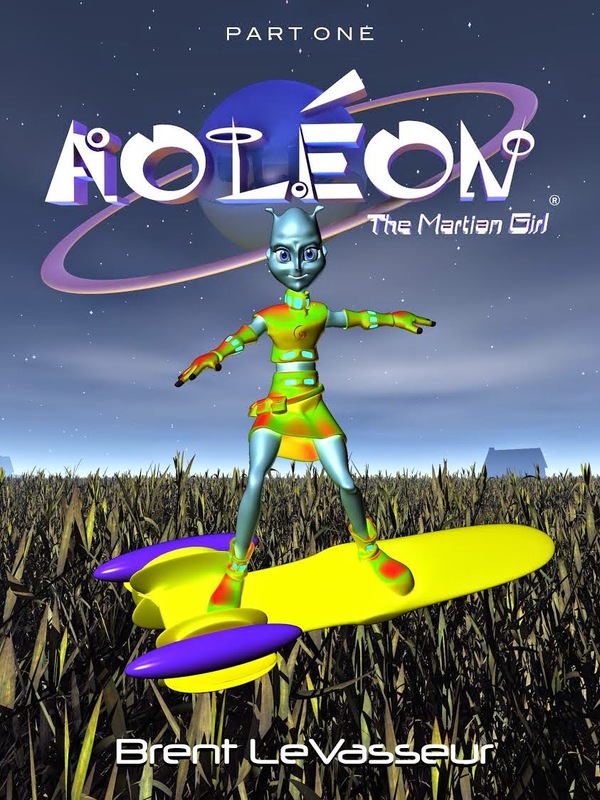 Aoléon The Martian Girl: A Science Fiction and Fantasy Saga - Part 1: First Contact is a middle grade level children's book written and illustrated by Brent LeVasseur. It is science fiction - fantasy genre. From the cover of the book readers know they are in for a fun adventure. The bold and colorful design hints at the fun that awaits readers! The book is 94 pages with chapters entitled: Dreams, First Contact, Flying Cows, Situation Room, Martian Megalopolis. The novel opens with a young boy named Gilbert Sullivan waking up from a bad dream. He lives on a farm in Nebraska, and always dreams vividly before crop circles are found in his area. When he wishes to travel far away, past the moon, he gets his wish in an unexpected way. Gilbert is watching from a telescope in his bedroom with his cat Xena when he sees an unusual light. 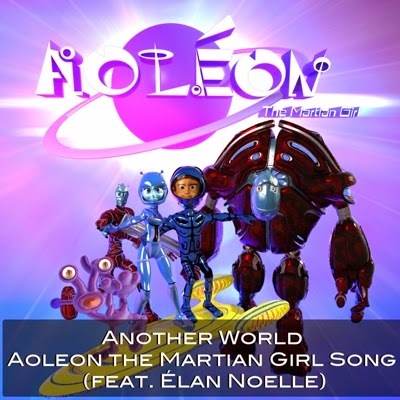 He goes outside to explore and the adventure begins as he meets a Martian girl named Aoléon. They are chased by Gilbert's neighbor, Farmer Johnson, and his basset hound, Tripod. However, Gilbert and Aoléon escape and take off in a flying saucer above a field of levitating cows. Young readers will enjoy Gilbert and Aoléon's adventurous travels traveling above earth, chased by an officer from the U.S. Air Force. 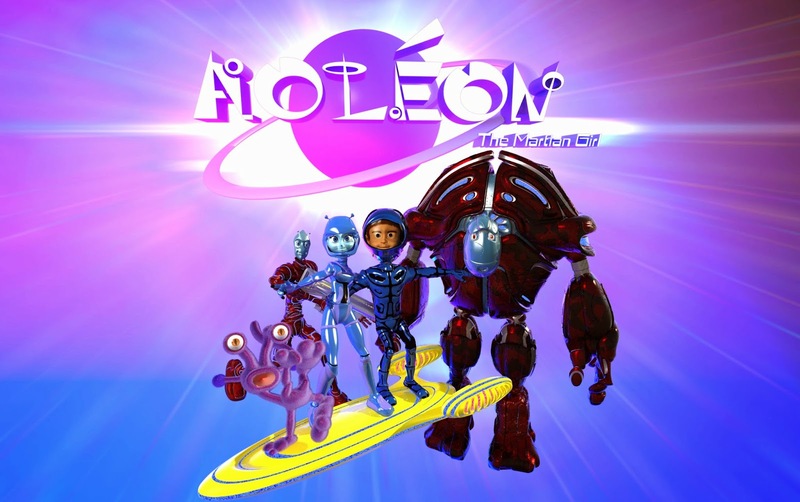 They end up traveling to Aoléon's home planet of Mars. The descriptions and pictures of Mars are fascinating. Gilbert's experiences on the distant planet are sure to intrigue young readers and encourage them to read on. There are five exciting books in this series! The illustrations throughout this book are exceptional. They are plentiful, and the design is bold and fresh, sure to draw a young reader into the story. The storytelling is fast paced, with engaging characters that children will enjoy. The book has a great blend of description and dialogue, ideal for a reluctant reader or any child who likes fast-paced science fiction. ​I received this book from iRead Book Tours in exchange for an honest review.